It’s been a great year for OddsMonkey: we’ve re-freshed our website, brand and logo, welcomed a whole bunch of awesome new members and launched some fantastic new tools, including the AccaMatcher and RacingMatcher – phew! See the 2016 matched betting profits of OddsMonkey members in this post. We’ve received so many lovely comments and reviews over the year and it’s been great to see the profits everyone is making month-on-month! 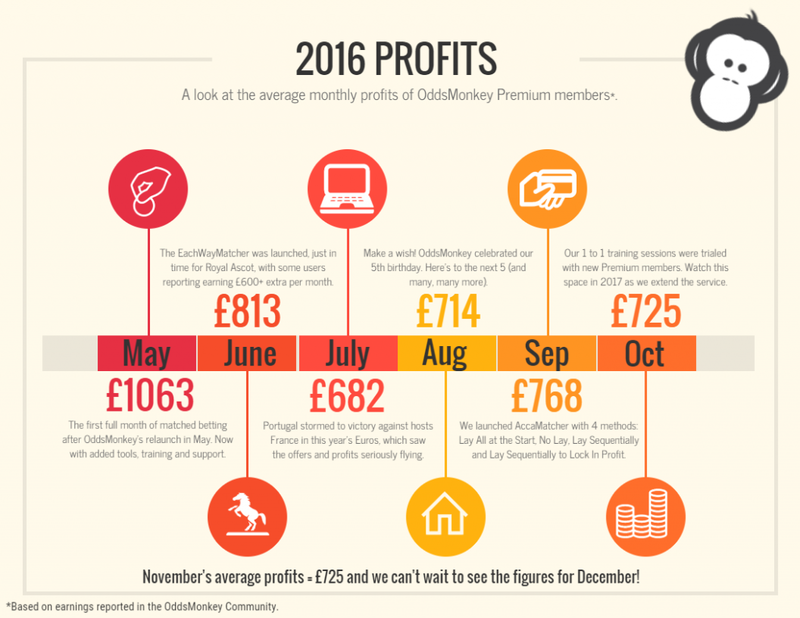 We’ve put together a little infographic to show the average matched betting profits of OddsMonkey Premium members. Congratulations everyone! If you haven’t signed up yet, take a look and you could be adding £500, £600, £700+ to your bank account every month. 2016 has been fantastic and it’s been great to see the monthly reported matched betting profits from our OddsMonkey Premium members – matched bettors of all experience levels. 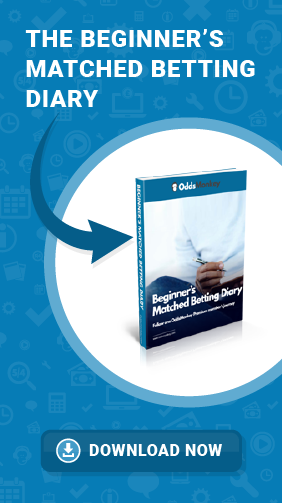 Download month one of Cupcake’s matched betting diary here. Depending on the amount of time you spend matched betting and the number and type of offers you do, you could earn up to £1500 a month with OddsMonkey. As you can see, since we re-launched the site in April, OddsMonkey Premium members have reported average earnings of £600+. Want a piece of the action? Well…what are you waiting for?! ◂ Beginner’s matched betting diary: where to start & how to make money.